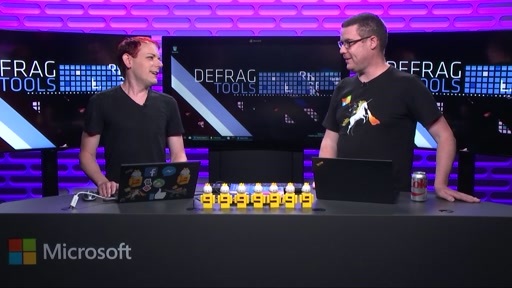 In this episode of Defrag Tools, Chad Beeder is joined by James Pinkerton and Ivette Carreras to introduce a new feature of WinDbg Preview: Time Travel Debugging (TTD). Great job!!! How can we open trace file in old WinDbg? @AndreyBazhan: This feature is only available in the new WinDbg Preview. 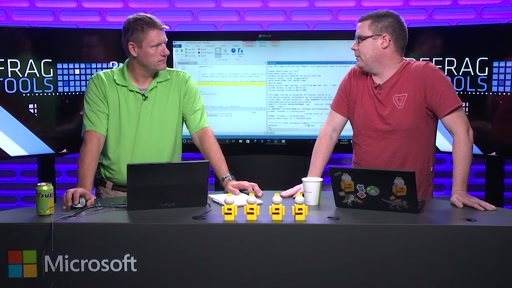 @ChadBeeder: Maybe there is some hidden switch :) , because in this video https://channel9.msdn.com/posts/Troubleshooting-Windows-Issues-2010 (11 min) a trace file is opened in old WinDbg. 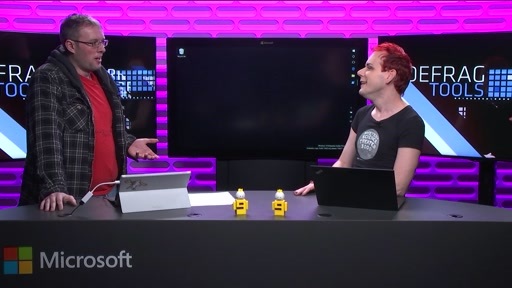 @AndreyBazhan: As I alluded to in the video, we've had this technology available in internal Microsoft builds of the debugger for some time. We are making it public for the first time in WinDbg Preview. Is there a way to record without installing WinDBG on target machine? We definitely need this, so that we can capture traces on a machine that can't install anything from the (public) store (in my case: a device running Windows Embedded). A workaround would be an APPX or something that one can download on one dev machine and then deploy onto the target device without the Store infrastructure / Internet access. Does TTD work if you copy its binaries from the C:\Program Files\WindowsApps folder to elsewhere? For now, the only supported way to capture TTD traces is via WinDbg Preview. If you have additional scenarios you would like us to support, the team is recommending you submit feature requests via the Feedback Hub. Does it use iDNA TTT technology for time-travel or approach similar to Mozilla's rr debugger? That's a great news, but why did Microsoft decide to release TTD public? I thought that TTD aka TTT was one of Microsoft's internal and secret tools. I'm curious about what made Microsoft release TTD public. Anyway, thank you for sharing with us such a great support tool. Looks great. Couple of questions. 1. Could it be used for .NET applications? If so, is there any updated version of SoS that will have to be used. 2. It looks a lot like IntelliTrace. You can collect IntelliTrace logs using its standalone collector. For me the major limitation of IntelliTrace is the set of data it can collect. For example it doesn't collect values of local variables, it only collect first level implicit types of a class etc. Are there any such limitations with TTD? Looks great. 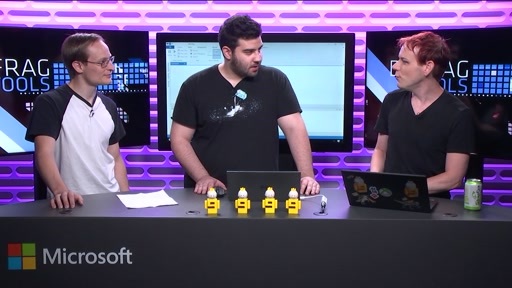 I wonder if this feature will be added to future versions of Visual Studio ? It'd be great to have it in VS. Help!! I wanted to debug app, the app requires to start in elevated mode. When i try to attach the executable in WinDbg i get a error message. WinDbg needs to run elevated to use Time Travel Debugging. How to start WinDbg in elevated mode?? Can you do that?? Is the specification of the trace files format open/available? @Suri: Right-click the WinDbg shortcut and "Run as Administrator." @Gerardo: No, I don't think so. @cenkergen: WinDbg Preview is the first debugger to include TTD. 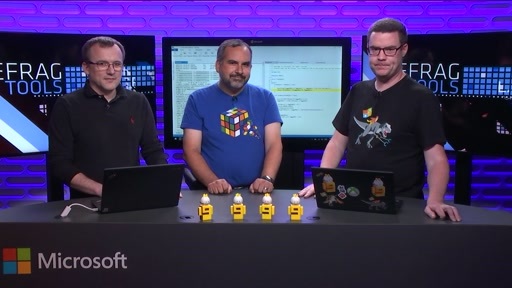 We are looking at including TTD features in a future version of Visual Studio. 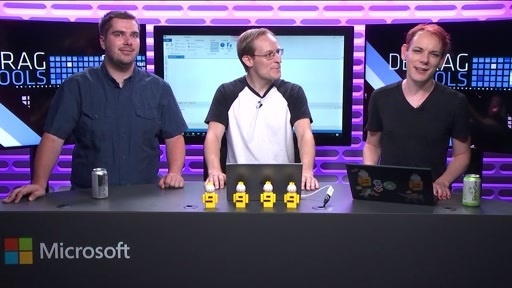 Please email TTDVS@microsoft.com if you would like to see TTD in Visual Studio. 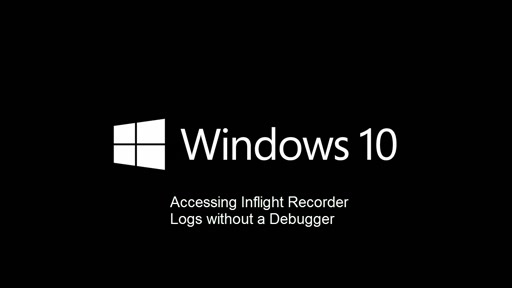 @blinder We will ship a version of TTD recorder and WinDbg & CDB which supports replaying a TTD trace file in a future version of WDK/SDK. We are not communicating any timeframe yet for WDK/SDK. 1. Does TTD work for kernel debugging? 2. How does it treat file system access, other I/O? 3. Does it make a snapshot of the entire virtual address space or only what's affected by each instruction? 4. Also how about making that new WinDbg available for versions of Windows other than Win10? @ahmd: Let's see if I can answer your questions here. Otherwise contact dbgsig alias for additional clarification. No TTD is for user mode debugging.